Our UO pets can be trained to the fullest, we keep our trained dread mares in stock as well as all the other UO pets! 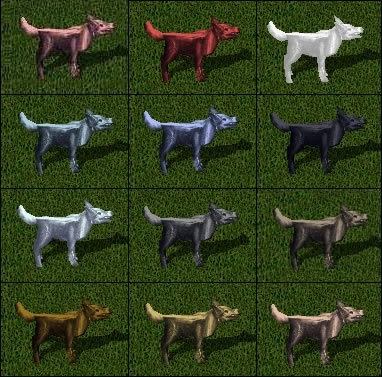 Check back when new UO pets are release, and we will have them listed. Perfectly trained no longer spawning Legendary Bane Dragon! Perfect for PvP or PvM! Click to see the build! How bad do you want the sickest looking pet in UO? The rarest colored Cu Sidhe! This Cu can discord (so it's like having a bard with you!) monsters bringing their resists and skills way down then it chomps down with massive AIs. This is a great well rounded companion for difficult encounters. Perfect pet for champ spawns, or any fight with multiple targets with the high damage area effect fire goo, and discordance for the bosses. This pet has tons of room for customization! A formidable fighter in it's own right, with all of the leg work done! Perfect pet for peerless, events, the roof, or any fight with a dangerous monster. The lightning force will stun and the discordance to lower the targets stats! Choose your magical skill - 120 Chivalry, Discordance, Mysticism, Spellweaving or 100 Poisoning and we'll handle the rest! Masterfully built Pure White Cu - the only pet you'll ever need for nearly all the content in the game! Click to see the build! Rare dreadmare that does not spawn anymore! Masterfully trained extremely rare pet! Legendary Fire Beetle, 100% fire damage, mountable, and rune corruption! It's a beast. Click to see full build! Legendary fire steed with discordance, very strong and mountable! Perfect for when you need fire damage! An absolute monster! 100 Poison Resist, 150+ Magic Resist, and enough fire power to take down hordes of top level monsters. Updated Build! Legendary Nightmare, in the rare Void color! Click to see the build! Get UO Pets from UO Treasures, talk to our Live Chat delivery team.